You can’t be a good leader unless you learn to fire people. Sometimes you make a hiring mistake. Sometimes the organization outgrows the ability of a person. Sometimes people get too comfortable and complacent. The list goes on. If someone isn’t performing at a high level it’s your responsibility as the leader to support them and help them improve. Sometimes you can, and sometimes you can’t. If you can’t you must manage them out. Fast. When I took my first general manager job a man named Stan was leader of the sales team. He was smart, charismatic, organized and popular with the team. The problem was that his mind was sealed shut regarding any possibility of change or improvement. If I asked Stan a question like “Is there room to improve sales person training?” I’d always get the same answer: “No. We’ve done everything we can.” It was his standard answer for everything. This was absolutely unacceptable — there are always a thousand ways to improve anything. I tried to pry open his mind and get him thinking proactively about how to change and improve. He remained stubbornly resistant. After some time it began to dawn on me that Stan was not the right fit for sales leader. We were missing opportunities to improve and increase revenue growth due to his attitude. Still I persisted. I wanted to give Stan another chance and be “fair.” “He just might get it” I thought. Plus I worried at how he would react and how it might affect the team. So I avoided the problem and let the situation drag on for more than six months, hoping it would improve with more coaching. It didn’t. Eventually I had had enough. Stan had to go. During our next one-to-one meeting I asked Stan whether he felt he was making progress toward his career goal of being a general manager. As expected, his answer was “no.” I told him it was clear that he wasn’t satisfied in the job and that he was just dialing it in. I encouraged him to open up and share his frustration, which he did. Then I played my card. “Stan, it seems like this job may not be the right fit for you. It’s not helping you achieve your goals. The team also needs someone who’s more switched on and enthusiastic.” Pause, then a firm “I think it’s best for you and for the team if you move on to your next challenge.” He knew his time was up. After some back and forth we agreed on a timetable. A few months later Stan announced to the team that he had found a new opportunity. We sent him out like a rock star. Not only was he happier in his new job, but I found an outstanding sales leader who was all about continual improvement. It made a huge difference in our sales and customer service. I learned a ton from this experience. Tolerating a “just ok” performer on my team hurt everyone, including the low performer. I thought I was being “humane” and “fair” by not managing him out quickly. The reality is that I was just avoiding a problem instead of tackling it straight on. I was using the excuse of being humane to avoid an unpleasant task, just hoping against my better judgment that things would improve. Perhaps my biggest lesson was that my slow decision-making cost Stan and the team valuable time and opportunity. I should have managed out Stan as soon as I concluded he wasn’t the right fit. Both parties would have been better off, sooner. It’s a lesson that has made me a better leader. Have you fired anyone lately? In the next post Managing Someone Out (the Right Way) I explain how to lay the groundwork and manage someone out effectively. At that time how many years of experience were you in management ? “Stan” regarding outcome of work production expectation in volume. Was his sales the lowest out of the team ? Stan was the leader of the entire sales team. At the time I was a pretty new general manager without a lot of management experience. If this situation happened again I would manage him out much faster. That’s the price of experience — making mistakes! In fact you wasn’t a weak leader at that time you are just inexperience. But the good thing is you gave him time to learn, adjust and find a way to move someone out on a good note. If you want to move someone out fast, you might think twice before making that decision. I have seen a lot cases can go wrong. Yes. Managing someone out in the wrong way can cause a LOT of problems. I’ll cover that in my next post. BTW, very interesting that you have passion in Vietnam and what you have done so far which is awesome. I would of known you if I decide to go to AOL in 2000 to manage. All leaders have a responsibility to help their people improve. I did try to work with Stan for many months to improve his anti-change attitude. It was unsuccessful. That was when it became clear to me that I needed someone new in that position. After you’ve given support, determining if a person can perform to your standards or not is more art than science. It’s easy to engage in wishful thinking — “Oh just a little more training, just a little more time” can last for years which is not good for them or the team. Managing someone out is not a fun decision, but it’s one you cannot avoid and must approach with a realistic eye. Regarding cost, I never focus on cost. I always focus on value. Maybe it would have cost less salary to keep Stan, but the cost in lost opportunity would have been far greater. Awww, thanks Nhi! Miss you too. Thanks Chris for your useful article! We need people with high capability, yet, we even need more those who can make things happen. High capability is as high capability does, KN. Em không hiểu “High capability is as high capability does” là sao? What do you mean by this, anh? It means that saying someone is “high capability” means nothing. You know someone is high capability by what they do, not what they or anyone else says. It’s automatic for the people, Can-Do. Anh Chris, why don’t you provide a training on this topic for business leaders, I bet many of them don’t know how to manage people out. Hey that is a great idea Chi. Alright Chris, will wait for your next post on managing out properly to avoid problems. I hope this is about manage out in Vietnam, because in U.S. I have managed in & out over 20 years and have seen many crazy cases and also the law in U.S. effected as well. I would like to know how they handle these issues in Vietnam. Thanks for posting. Really helpful in our current situation. There are people which have the “limit” and cannot be improved. They tried their best, but they keep the growth of a company. 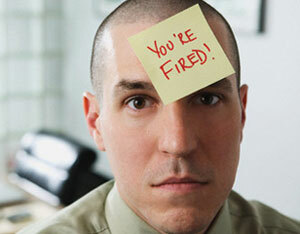 There are times when you must remove someone who isn’t working out and is limiting growth of the organization. It’s not fun. It’s not easy. But leaders are responsible for building a team that gets results. Someone who is unwilling to take unpleasant action has no business managing a team. Hi Chris. Love the blog and really love that you are doing well. Hope you make it back for a UVa reunion some time (of course, I haven’t made one either and I still live in the States). I just shared this article with one of the managers on my team who has a few challenging direct reports. “Chúc may mắn” and keep up the good work! Thanks for the comment old friend. Great anh! kindly got it!!! Glad it added value to you Tuyen. The tone of this article is sickening. I’m sorry you are offended, Clare.